Is there anything more soul crushing than waking up and checking the weather on your phone, only to discover that there are inches of snow outside waiting to complicate your morning commute? Snow in the forecast doesn't always have to be a letdown, though. 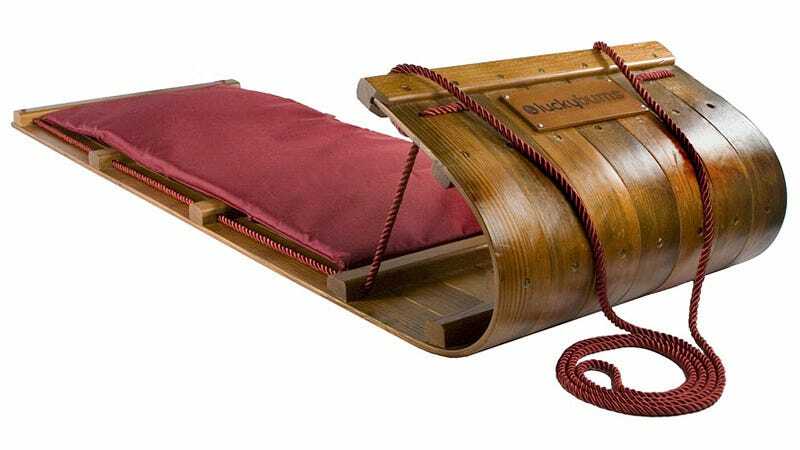 With this steam-bent wooden toboggan from Lucky Bums, you'll embrace every flake that falls. Plastic sleds with brakes and steering have come to dominate snow-covered hills over the years, but there's just nothing as thrilling as climbing onto an old-school wooden toboggan, lining up your path of descent, and then hoping you won't hit anything on the way down. If you do, this made-in-the-USA toboggan's padded seat should help you ride out the worst of it.